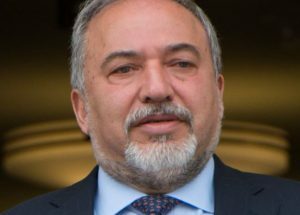 EXECUTIVE SUMMARY: It is a historical irony that last week’s resignation of defense minister Avigdor Lieberman came on the heels of the 23rd anniversary of Yitzhak Rabin’s assassination, for it can clearly be seen as the latest casualty of the slain prime minister’s “peace legacy.” Not merely because the move was triggered by the latest conflagration along the Gaza Strip, transformed by the Oslo “peace process” into an ineradicable terrorist entity that has murdered and maimed thousands of Israelis and made the lives of countless others a living hell, but because the process has destabilized the Israeli political system and made it captive to the whims of the Palestinian leadership. In the 25 years since the signing of the Oslo Accords in September 1993, just one of the 10 reigning Israeli governments has completed its entire tenure, with one term ended by the unprecedented assassination of the incumbent prime minister. Meanwhile, parliament’s average lifespan has dropped from 3.6 years to three years and a record number of parties were formed, torn apart, and disbanded. 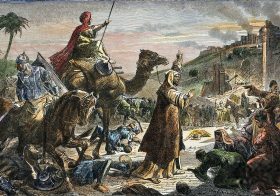 Since the conflict with the Palestinian Arabs had bedeviled the Jewish national revival for nearly a century, it was only natural that the seeming promise of its imminent resolution generated a tidal wave of euphoria among Israeli Jews. 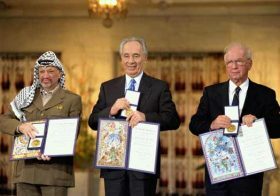 For over a year, they ignored the long trail of blood and destruction wrought by the agreement, whose many casualties were infamously defined by Rabin as “the victims of peace.” It was not until late January 1995 that they were shaken out of their self-delusion by the wild celebrations in Gaza of the murder of 19 Israelis in a suicide bombing, with PLO Chairman Yasser Arafat publicly defying Rabin’s plea to condemn the atrocity. By the time of his assassination on November 4, 1995, Rabin was trailing Benjamin Netanyahu in most polls. And while this trend was instantly reversed by the assassination and the resulting nationwide revulsion, it was restored in early March 1996 by a string of terrorist attacks that murdered 58 Israelis in the span of one week and catapulted Netanyahu into the prime minister’s office two months later. 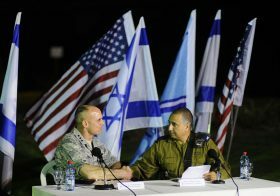 Yet such was the extent of Israelis’ yearning for peace that many of them continued to turn a blind eye to the mounting evidence of PLO perfidy, viewing Netanyahu’s insistence that the organization abide by its obligations as an obstacle to “peace.” And so it was that despite the sharp drop in terrorist fatalities on his watch, from 210 during the Rabin-Peres governments to 72, precisely three years after reaching the premiership on the crest of disillusionment with the Palestinian “peace partner,” Netanyahu was forced out of office by rekindled hopes for restoration of this “partnership.” That a period marred by murderous terrorist attacks (1993-96) was yet again misconstrued as a “peace process” while one characterized by diminished terrorism and improving socioeconomic conditions in the territories (1996-99) was seen as antithetical to peace was a sad testament to the cognitive dissonance of most Israelis at the time. Before long, however, Prime Minister Ehud Barak had outlived his usefulness to Arafat and was forced to follow in his predecessor’s unhappy footsteps: the fourth Palestinian-induced prime ministerial change in Israel in six years. When, in July 2000, at the US-convened peace summit at Camp David, Barak ceded virtually the entire territory of the West Bank and Gaza Strip to the nascent Palestinian state and made breathtaking concessions with respect to Jerusalem, Arafat’s response was an all-out terrorist war, at a level of local violence unmatched in scope and intensity since the attempt to abort the creation of the Jewish state in 1948. In a desperate bid to salvage his tottering rule, Barak accepted President Clinton’s proposed concessions (December 2000), which Arafat dismissed out of hand. 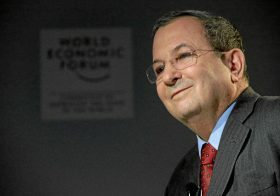 Barak made yet further concessions during the January 2001 summit at the Egyptian Red Sea resort of Taba, which by the Palestinian account included recognition of the “right of return” – the Palestinian catchword for Israel’s destruction through demographic subversion. This too failed to save the day, and on February 6, 2001, Barak suffered the worst electoral defeat in Israel’s history. He was replaced at the prime minister’s office by Likud leader Ariel Sharon. Barak’s defeat was primarily a vote of no confidence in his ability to manage the conflict with the Palestinians, just as his landslide victory two years earlier had been an indictment of Netanyahu. Yet it was emblematic of Labor’s intractable decline. Just as the party’s failure to anticipate the October 1973 war had resulted in its loss of power for the first time since the establishment of the state of Israel, so the bloody collapse of the Oslo process dealt a mortal blow to its aspirations for national leadership. In 1992, the Rabin-led Labor party won the elections by a comfortable majority of 44 seats to Likud’s 32. By 1999, its parliamentary representation had declined to 26 (though Likud suffered a similar setback due to widespread disillusionment with Netanyahu). Labor dropped to 19 seats in 2003 (half of Likud’s strength) and to a mere 13 in 2009. And while Labor managed to make a partial recovery in the 2015 elections by uniting with a newly established party, it has failed to regain the national leadership since Barak’s 2001 defeat. Likud, by contrast, has enjoyed four electoral wins over the period (in 2003, 2009, 2013, and 2015). Moreover, even Likud’s single electoral defeat during those years – in 2006, when it was reduced to a mere 12 Knesset seats – was a matter of form rather than substance, stemming as it did from Sharon’s secession from the party, together with scores of leading politicians, and the formation of the Kadima Party. Sharon was incapacitated by a stroke shortly before the 2006 elections. But his soaring popularity for having put down Arafat’s war of terrorism sufficed to catapult Ehud Olmert, his accidental successor, into the prime minister’s office and to enable Kadima to win the subsequent 2009 elections by the slimmest of margins (though it was Likud that managed to form a government), only to fade into oblivion in the 2013 elections. And therein lies the foremost Oslo-generated political debacle. For while Israel’s diverse political system has seen the rise and fall of sectorial parties from the earliest days of statehood, the proliferation of “atmosphere parties” thriving on the general yearning for change while effectively servicing their founders’ political ambitions skyrocketed to new heights during the Oslo years, with Israel’s once-dominant party rapidly sinking into irrelevance. The cognitive dissonance between the acknowledgment of Palestinian perfidy and the lingering longing for peace drove many Israelis to cling to whatever celebrity hope peddler happened to emerge on the political scene. Thus we had the nascent Third Way Party, which won four seats in 1996, only to evaporate into thin air three years later. It was followed by the similarly disposed Center Party, which won six seats in 1999 before disappearing from the political scene in the 2003 elections, when another one-term party – One People – came into brief and unremarkable existence. The Shinui (Change) party, an offshoot of the one-term Democratic Movement for Change (DASH), which had played a key role in Likud’s 1977 ascendance, managed to win six and 15 seats in the 1999 and 2003 elections, respectively, before vanishing altogether in 2006. Kadima, as we have seen, did much better by winning the premiership in 2006, but it, too, was gone by the time of the 2013 elections. So was The Movement (Hatenua), formed by Likud-defector-turned-Kadima-refugee Tzipi Livni, which was amalgamated into Labor in the 2015 elections to form the Zionist Union. The Yesh Atid party, headed by former TV personality Yair Lapid, which made an impressive debut in 2013 (19 seats, dropping to 11 in 2015), and the Kulanu Party, headed by Likud defector Moshe Kahlon, which entered the political fray in 2015 (10 seats), will likely survive the 2019 elections. Yet they are certain to take a beating from the (yet to be established) atmospheric parties headed by MK Orly Levy and former IDF chief-of-staff Benny Gantz. Gantz’s soaring popularity, despite the total lack of public awareness of his political views and his unimpressive military record (having become chief-of-staff by default after the technical disqualification of the chosen candidate), is particularly confounding. 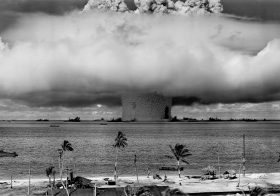 If anything, it resonates of the spectacular rise of the half-witted Chauncy Gardner in Jerzy Kosinsky’s novel Being There (immortalized by Peter Sellers in the 1979 movie version), who managed to win over captains of the American economy and political establishment via prolonged silence punctured by obtuse, yet ostensibly meaningful, utterances. The not wholly unrealistic possibility that one of these “atmospheric” celebrities may find themselves in the prime minister’s office should alarm Israelis, and is a sad testament to the depths to which the Oslo process has driven the Israeli state and political system. 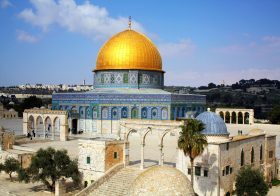 This article was published in the Jerusalem Post on November 18, 2018. Prof. Efraim Karsh is director of the Begin-Sadat Center for Strategic Studies, emeritus professor of Middle East and Mediterranean studies at King’s College London, and editor of the Middle East Quarterly.